Black Moon Escape is game created by Games2Jolly. 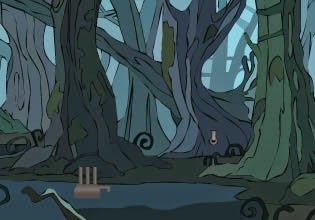 Explore magic forest, encounter mysterious creatures and complete tasks in order to unlock "Black Moon Tunnel" entrance. Have fun!